Before everything else let me thank you heartily… I hope some day to repay these long years of education in the only way in which they can be repaid – by success and distinction in the kind of life which they aim at. But that is partly in the power of fortune and in the meantime I can only record that I am not foolish enough to take these things for granted and that the thought of how much you are doing for me is often, even insistently, before my mind. No longer young but middle-aged, thinking about not only my father but also many people during my graduate studies, I nonetheless share the sentiments of young man Lewis. After this dissertation, any formal academic acknowledgments will likely be short due to page limit imposed by publishers. So I shall seize upon this opportunity to pen a paean of sorts: an essay of appreciation, thanksgiving, gratitude, indebtedness. (I will try to keep it under ten pages.) A Vietnamese proverb goes, Đi một ngày đàng, học một sàng khôn: Travel for a day and learn a sieve-full of wisdom. Substitute “years” for “a day” and “history” for “wisdom,”and you get a fair idea about the long journey I had. As early as my first year of working on the dissertation, I jotted down the names of people and institutions that I wanted to make sure of thanking at the end. At some point I stopped keeping track, no doubt because it took me a lot longer to finish and because there were so many to remember. I am bound to forget some of the names that ought to appear in this section. Forgiveness is humbly requested ahead of time. The first acknowledgment must go to the Graduate School and the Department of History at the University of Notre Dame. Money talks – and it enables. Financial support from the Department and the Graduate School, in forms of fellowships and grants for research and travels, made it possible for me to engage in reading, writing, thinking, visiting archives, presenting papers, and, no less significant, teaching about the Vietnam War for the first time. Within the Department, I am much grateful for various Directors of Graduate Studies who helped me with institutional support over the years. A special thanks goes to Remie Constable who served as DGS during my first three years. She recruited me, dispensed wise counsel, and, for an important semester, led a valuable weekly meeting for teaching assistants. Having read more than a few dissertation acknowledgments, I was struck by a general lack of references to the people involved in one’s studies prior to the dissertation phase. It could not be a sign of ingratitude, but perhaps the consequence of a certain unspoken rule about acknowledging assistance during dissertation work only? Anyway, my pre-doctoral training was all-too-formative that I shall not let it pass unmentioned. “We little note,” wrote Michael Kammen not long ago in the Reviews of American History, “how often historians declare that their undergraduate mentors made all the difference, and in many cases are remembered with greater enthusiasm than their graduate school committee.” Prof. Kammen’s insight might well be true about many historians, even most. But perhaps because I did not major in history in college, a large chunk of my enthusiasm has to do with professors in graduate school. It began at the Catholic University of America, where I spent one semester and received a terrific introduction to graduate studies of history from three wonderful teachers: Uta-Renate Blumenthal, Stephen West, and Robert Schneider. Individually and collectively, they showed me the breadth and depth of historical inquiry and, indirectly, persuaded me that I was meant to go after Clio. In particular, Prof. Schneider, now editor of the American Historical Review, did a masterly job in his course on methodology and opened my mind to the glories and pitfalls about different historical approaches. 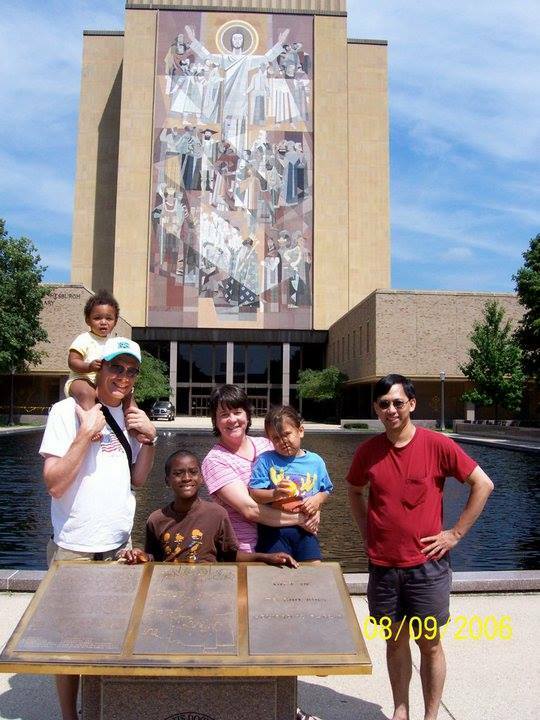 At Notre Dame, I was blessed to learn from an assortment of specialists: Thomas Slaughter, David Waldstreicher, James Turner, John McGreevy, and Wilson Miscamble in American history; Gary Hamburg, Semion Lyandres, and Thomas Kselman in modern European history; and Dian Murray in modern Chinese history. Participating in their seminars and colloquia and individual studies constituted some of the happiest times in my life, in and out of academia. Each setting was unique for the composition of people, the selectivity of subject matters, and the interactions between the two. All of them were memorable. One instance will have to suffice here: Jim Turner’s colloquium on nineteenth-century America was as large in the number of participants as it was abundant and varied in humor – dry, wry, witty, otherwise. Excellence in teaching is close to my heart, and my first exposure of teaching came from assisting Jay Dolan, Steve Brady, Jon Coleman, and Marc Rodriguez in their courses. In my last two years in residence, I benefited from participation in the Graduate Writing Group led by Doris Bergen and, later, Alex Martin. 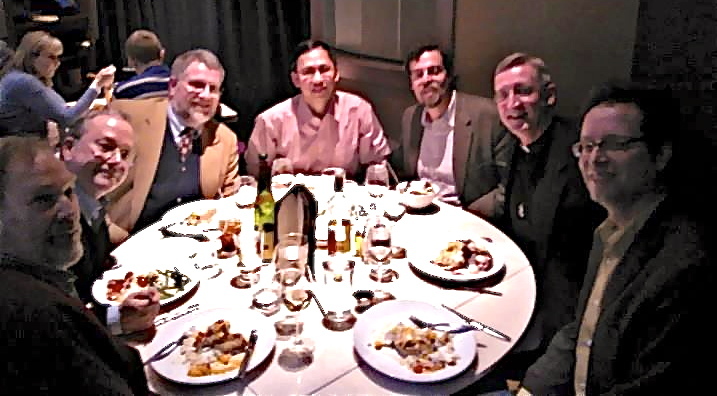 In between were many valuable departmental colloquia and enhancing one-on-one conversations with Dan Graff, Julia Thomas, Gail Bederman, Brad Gregory, and Fr. Tom Blantz, among others. My experience of the Department was nothing but remarkable, starting with a faculty that were as top-notched in research as they were generous in time and spirit. Thank you all, Docs! The ideal life, Mark Twain famously said, would consist of “good friends, good books, and a sleepy conscience.” I hope that my conscience has been alert than sleepy. But I sure could claim to having had more than a few good books and good friends during the years in South Bend. There were too many conversations with too many people – both “intellectually stimulating” and “shooting the breeze” varieties; both within and without of the Department of History – that I will unintentionally forget some names here. I wish to thank Jennifer Dasal, Steve Nazaran, David Thunder, James Helmer, Matt Mendham, Matt Allison, Ryan Berndt, Maria Valenzuela, Dan Borses, Julie Bergner, Mimi Arima, Aida Ramos, Cong Nguyen, Sam Cahill, David Swartz, Danielle DuBois Gottwig, Erin Miller, Neil Dhingra, Tom Rzeznik, Andrew and Suzanne Orr, Michael Kelly, Charles Strauss, Melinda Grimsley-Smith, and Teasel-Muir Harmony. I shall not forget my first teaching assignment with Angel Cortes and Mike Lee. 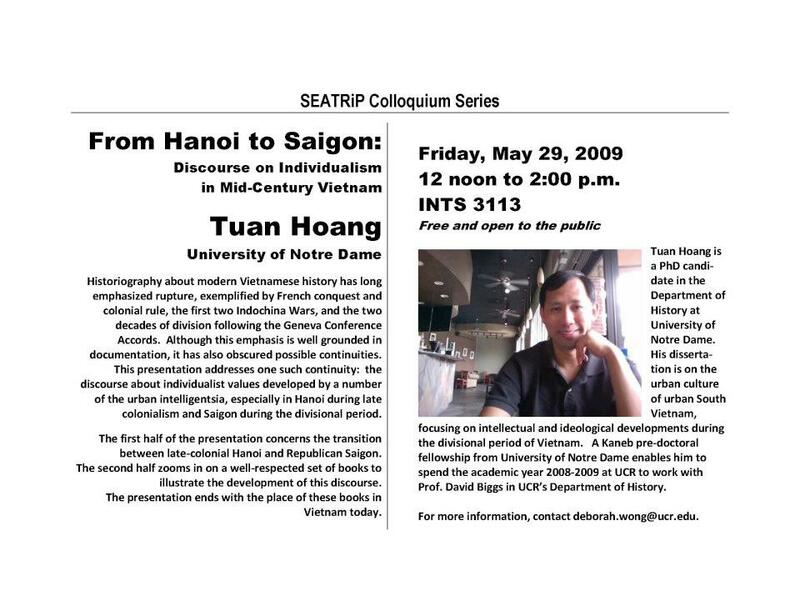 Where else but at Notre Dame that the three TAs for a popular class on Irish-American history included a Cuban-born, a Korean-born, and a Vietnamese-born grad students? I owe a deep gratitude to Joan Arbery and Hans Roegele for their abiding friendship perhaps best captured by those Riesling-sipping gatherings on Wednesday evenings. Thanks also goes to Sean Brennan, with whom I shared long conversations on history, sports, movies, and other topics over lunch at various restaurants throughout the South Bend area. Sean and David Swartz have also inspired me with their productivity, best exemplified by the quality books that they brought out not too long after graduation and on top of many family obligations. Thank you, fellas, all of you, for having shared in the experience. Moving on to the dissertation itself, I am thoroughly thankful for the members of my committee: Dian Murray, John McGreevy, Jonathan Nashel, and Wilson Miscamble. I received much encouragement from them during research and writing, and it goes without saying that their critical comments were enormously helpful and insightful. In different ways, they forced me to think more deeply, widely, and sharply. In addition, they exerted more formative influence on me than they might have realized. Prior to obtaining ABD status, I benefited from their works in, respectively, social, intellectual, cultural, and diplomatic history. Then and later, their advice helped me navigate among the possibilities and challenges of dissertation work. To a still impressionable student drawn to research topics as different as fast food history and the history of seminary curricula, John McGreevy pointed at the obvious fact that I knew Vietnamese and should use it for research. When I was about to leave for the first research trip, Jonathan Nashel cautioned me to be careful with newspapers because they could easily draw me to all sorts of directions. While it took me a long time to complete this dissertation, it might have been longer had it not been for Jonathan’s seasoned advice. Before the same trip, Dian Murray asked a simple yet probing question: “What exactly is this dissertation about?” The question haunted me for the next eighteen months, albeit helpfully, as I navigated through a sea of materials from Cornell University and elsewhere. In a sense, this dissertation could not take the shape that it did without Dian’s pristine question. I wish to thank all three readers for their work and support on my behalf. Most of all, I am indebted to the Rev. Wilson Miscamble, CSC, for his agreement to be my advisor and his dedicated service afterwards. 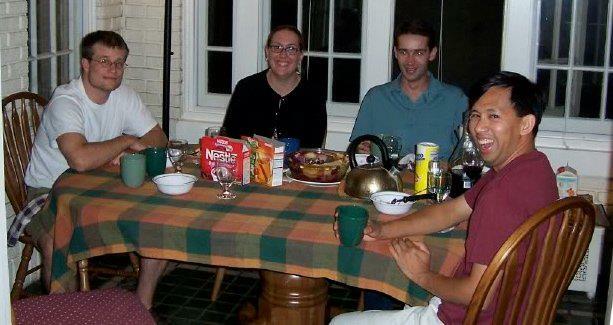 Like at least two generations of undergraduate students at Notre Dame now, I know him as “Fr. Bill” who speaks with a slight Aussie accent and calls students “sport.” In my second year at Notre Dame, he called attention to George Herring’s important essay about South Vietnamese: the lynchpin of my dissertation. During the research phase, he provided wonderful and plentiful intellectual and moral support. He read my drafts with great care and gave countless corrections and critical comments. His support has been invaluable for my growth as a historian, and there is no question that his patience with this problem student has earned him a ticket to heaven. Moreover, my wife and I are grateful for his moral support during a challenging time. 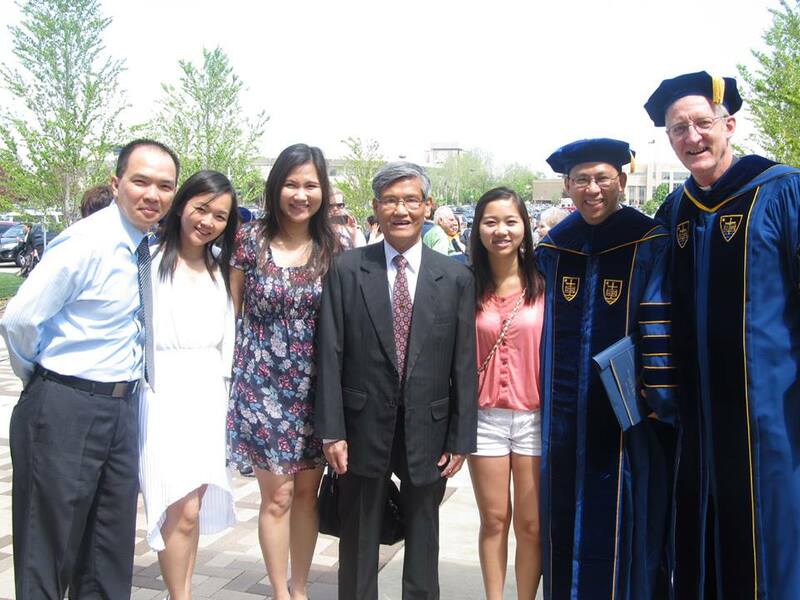 Thank you, Padre, for everything! Going on the road, I wish to thank the staff at the Vietnam Center and Archive at Texas Tech University for an informative tour and for answering various email questions since then. One day into my first trip to Cornell, I learned that most materials in the John M. Echols Collection were located at the Library Annex. I went to the Annex the next morning and, in a sense, have never left it. I wish to thank John Howard and other staff members at the Annex for their speedy, reliable, and cheerful service. “Time flies when you’re having goal-motivated fun,” said a statement from the Association for Psychological Science. There were few other places outside of the Annex’s reading room that I felt more motivated and had more fun. It remains one of my favorite places on earth, thanks in no small part to its staff. Because the bulk of my primary materials consisted of Vietnamese-language publications, I depended heavily on Interlibrary Loan at the institutions where I was associated during the course of the dissertation. At Notre Dame, Kenneth Kinslow and his staff provided unparalleled service to an eager researcher who wanted to get his hands on a seemingly endless stream of books and periodicals from Ann Arbor to Paris. At University of California, Riverside (UCR), Janet Moores and her staff were unfailing in assisting me obtain another long stream of materials from the UC Libraries system and elsewhere. At Cal State San Bernardino (CSUSB), Lee Bayer was always prompt in responding to my requests. In a sense, the archives came to me thanks to the fine work of those Interlibrary Loan folks. To them I sing a song of gladness and thanksgiving. My dissertation led me to Vietnam Studies, and there are a number of people that I wish to acknowledge here. 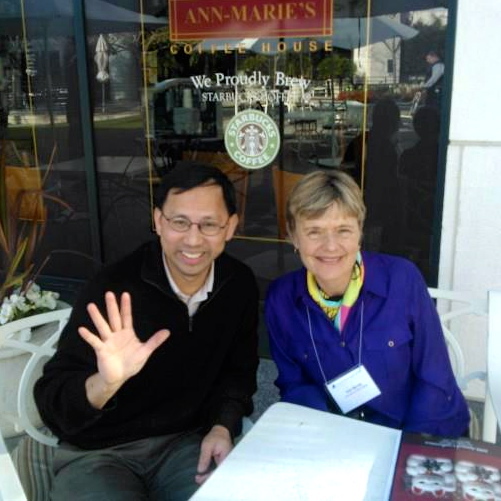 I first met Lien-Hang Nguyen when she was at Harvard on another of her prestigious fellowships. She bought me lunch and filled me in about Vietnam Studies and the people who populated it. This was the beginning to many encounters, conversations, and communications about the Vietnam War and Vietnamese history with a host of people. I recall, for instances, a long after-dinner conversation with Ed Wehrle in South Bend while dropping him off at campus, a talk with Ken MacLean during a conference cruise on Lake Union in Seattle, and a most hilarious time driving and conversing with Seth Jacobs on snowy Interstate 10 in Massachusetts. They were only three of many happy exchanges with historians and other scholars. For their insights and assistance, I wish to single out Sophie Quinn-Judge, Philippe Peycam, Peter Hansen, Peter Zinoman, Tuong Vu, Grace Chew, Thuy Tranviet, Christoph Giebel, Shawn McHale, Matthew Masur, Ang Cheng Guan, David Hunt, and Jason Gibbs. Extra gratitude is owed to Nu-Anh Tran, Wynn Wilcox, and Edward Miller for providing incisive comments on an early draft of an early dissertation chapter. I used to joke that my dissertation would be completed when Ed Miller finished his book on Ngo Dinh Diem. I am now happy to report that the dissertation defense occurred around the same time as the release of his important monograph from Harvard University Press. Elsewhere, I wish to credit the Vietnam Studies Group (VSG) and its excellent discussion listserv that has spurred many stimulating threads on sundry topics about the Vietnam War and Vietnamese history, culture, and language. There is nothing like this listserv, to put it mildly, and I would like to thank Judith Henchy for her long-time service in overseeing and moderating the listserv. A general appreciation goes to the many posters who have answered my questions or enlightened me on countless subject matters. Another appreciation – a somewhat unusual one – goes to François Guillemot and Christopher Goscha for several articles they published before and during my dissertation work. I have never met them, or even exchanged a single email with either. (I once heard Goscha speak for a minute at a VSG meeting.) But there is no question that I was inspired by their scrappy and inventive efforts to sort through disparate materials and put together fascinating narratives and persuasive analyses in those articles. In a way, they showed me how to look and what to do with Vietnamese-language published sources. Their works reflect the broader creativity and productivity from a new generation of historians, and I am fortunate to have benefited from this new wave of research. A Notre Dame pre-doctoral fellowship brought me to UCR for an academic year, and I wish to pass on my appreciation to several individuals for their hospitality and generosity. The first thanks goes to Deborah Wong for her welcoming and cheerful spirit in organizing my presentation for SEATRiP. Elsewhere on campus, Mariam Lam bought me a delicious lunch and acquainted me to the field of Vietnamese American studies. (On this subject, I wish to thank also Lan Duong, Thuy Vo Dang, and Dan Tsang for their insights and conversations.) For two summery months, Christina Schwenkel and her husband Rudi left me in charge of their lovely little home. I am still sorry that several of their plants died due to my negligence. But I remain grateful for the use of their place as “home away from home” during what turned out to be a critical revision and experimentation on how I would teach the Vietnam War. Above all, my gratitude goes to David Biggs who served as my host and mentor during the fellowship year. I learned a lot from watching him teach about the Vietnam Wars, and a lot more from knowing him. His support for me went far and beyond his line of duty, and his friendship has been invaluable to me long after the fellowship. Speaking of teaching, it is difficult to think of my growth as a historian of the Vietnam Conflict without the students that took my course on the war at Notre Dame, UCR, and the Palm Desert Campus of CSUSB. Without knowing it, they provided me with an opportunity to craft and re-craft a coherent and interesting history of the war and even to integrate a small portion of my research into lectures. With hope and excitement, I look forward to students who will take the course in the future. With fondness and appreciation, I look back to students who took it in the last few years. Beyond the confines of academia, my affection and gratitude goes to the members of my family, both immediate and extended. My parents Hân and Hồng, my siblings Hà, Huy, and Nga, my sister-in-law Loan and brother-in-law Cường, and my nieces and nephews provided moral support and put me up at their places on many occasions. I owed a big thanks to a number of relatives who took me induring my travels for research and conferences: chị Cúc, anh Đài, Quỳnh, Bảo, Xuân, Toàn, and Quyền in Massachusetts; anh Hải and chị Mỹ in Pennsylvania; Chiến and Trang in Texas; and Thảo and Bửu, cô Liên and chú Lịch, and cô Doan and Lisa and Jason in California. Another appreciation goes to fellow Notre Dame history grad student Dixie Lane, who led me to the Dillon household in Riverside. It was a joy to have shared my daily life with Jim, Johnny, and Jimmy during my fellowship year, and I remain grateful for their presence and support. My graduate journey was bookended by my work and relationship with the L’Arche communities in, respectively, Seattle and Orange County. 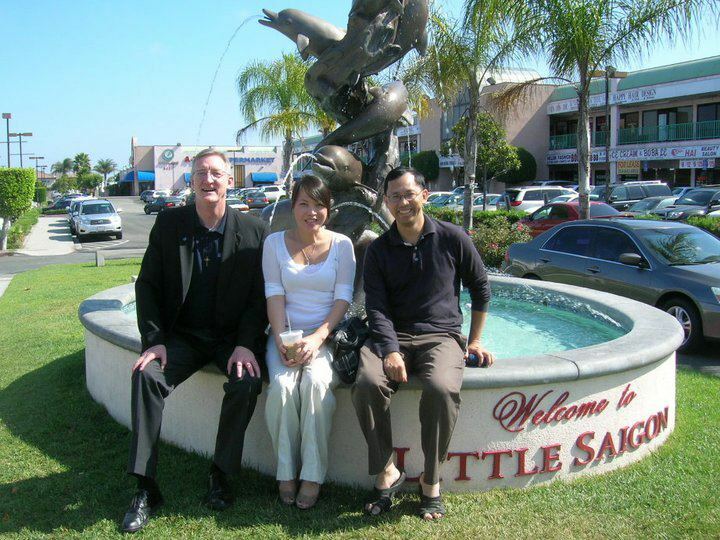 My time in California was enriched by the large brood of newly acquired in-laws, the Vietnamese young adults group at St. Columban Church, and friends that studied for the court interpreter’s written exam. I wish to thank all of them. There are some friends that I am compelled to thank by names: Mai Trinh, Dennis Kunkel, Jennifer Kelly, Mimi Krsak, and Tara and Jim Conroy. I was lucky to have been relatively close in distance to Katy Didden for the greater part of graduate studies, and recall with delight and gratitude for the meals and conversations we shared in the District of Columbia, Chicago, and central Missouri. I have never failed to treasure the late-night conversations in the Twin Cities with old friend John “Hai” Nguyen, who helped to take my mind off academic concerns for at least a short time. Also in Minnesota, it was always a pleasure to see Jane and Richard Rodeheffer at their home. Jane in particular went out of her way to help me in several important matters. Going back to C.S. Lewis, I feel very much in “the power of fortune” to have known her all these years. 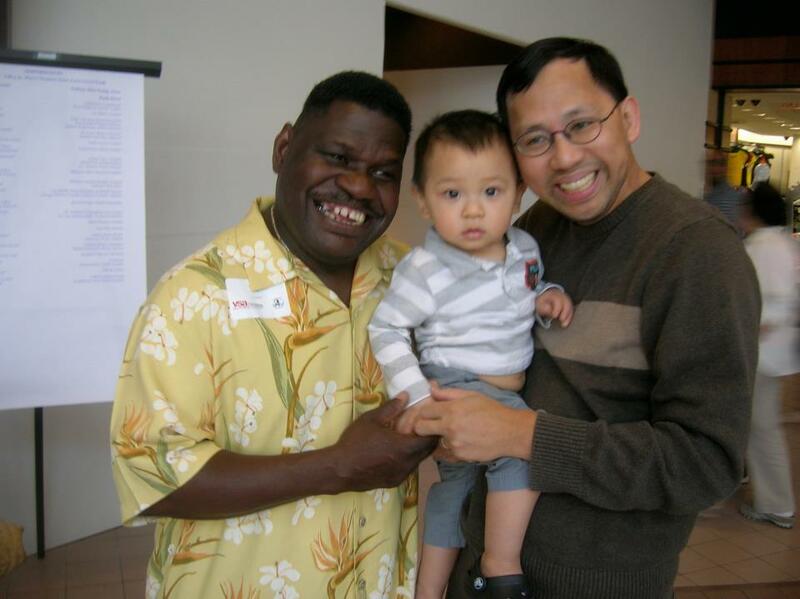 In the last two years, I was never tired of seeing my godson Jovan and his parents Kim Chi and Hung Tran. Last but not least, I met and married my wife Mỹ during the course of dissertation work. She is the embodiment of my favorite couplet from my favorite love poem by Auden – “Mortal, guilty, but to me / The entirely beautiful” – and I am indebted to her steadfast love and support that enabled the completion of this dissertation. I have reached the end of the tenth page, and formal acknowledgments will have to stop here. But gratitude and appreciation goes on in the heart. Xin chân thành cảm ơn mọi người: My sincere thanks to all of you!